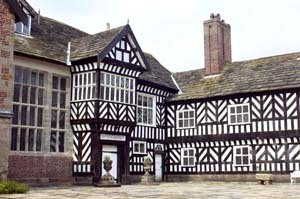 Black and white timber-framed Elizabethan house, with a Georgian porticoed brick built wing. The house began as a Saxon hunting lodge and the two massive oak trees, around which it was built, are still rooted in the ground forming carved pillars flanking the organ in the great hall. The restored 18th-c landscaped gardens and parkland (originally laid-out by Charles Legh), contains several follies, a rose garden, yew maze, yew walk and peaceful lime avenue, plus a wilderness garden. Victorian Jacobean style mansion, containing fine period furniture, plasterwork and panelling; set in well established gardens dating from Henry VIII's time. In the walled gardens are yew hedges, azaleas, shrub roses, rhododendrons and herbaceous borders. There is also an unusual avenue of clipped Ilex trees, a herb garden, scented garden and a woodland garden containing many exotic trees. A 16th-c Tudor barn in the grounds has been converted into a pleasant restaurant. 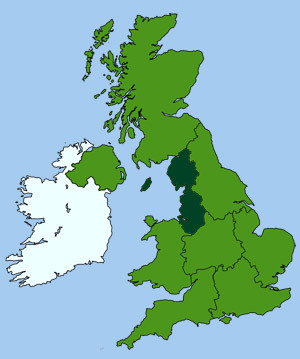 Ancestral home of the Bromley-Davenports. The hall and its chapel date from 1722, although there are some later alterations. The property is set in magnificent lakeside gardens. Spring and early summer are the ideal times to enjoy the garden with its lovely daffodil filled lawns and herbaceous and shrub filled borders. The house contains a diverse range of sculptures and paintings. Charming Tudor black-and-white manor house, birthplace of Mary Fitton, though to be the 'Dark Lady' of Shakespeare's sonnets. The interior remains virtually unchanged since Tudor times and contains period artwork, armour, furniture, sculpture and stained glass. The surrounding park contains a restored Elizabethan pleasure garden and medieval tilting ground. A charming, timber-framed, higgledy piggledy house, with leaning walls, elegant gables and windows. Great hall and long gallery with original panelling and flooring and fine wall paintings. Outside there is a moat, traditional knot and herb garden, orchard and herbaceous borders. Classic Italianate style Palladian palace, built around a central courtyard. The only indication remaining of its humble Tudor origins is the large Tudor gateway at the entrance. The house contains a fine collection of pictures and lavish furnishings. The state rooms are richly paneled with superb wood carvings and tapestries. Set in Victorian and Edwardian style gardens, with a formal sunken parterre, lake and orangery. Surrounded by extensive parkland and an impressive 1,300-acre deer park. A veritable gardener's paradise, with a diverse range of plants providing interest for amateurs, enthusiasts and horticulturists alike. Set in sweeping lawns, with flower beds, water gardens, terrace gardens, rock gardens and glasshouses. Visitor centre offers regular lectures, courses and special events. Georgian mansion set in a vast historic estate, with formal gardens laid out by Humphry Repton and Sir Joseph Paxton, including 52 acres of ornamental and woodland gardens, plus a 1,000 acre country park. The gardens contain sweeping lawns and borders, an orangery, and an authentic Japanese garden with a Shinto temple. The house is superbly furnished and contains fine furniture, china, silver and glass, plus a large collection of artwork, including works by Canaletto, Van Dyck and de Heem. A lovely feature of the drawing room is its silk covered walls. 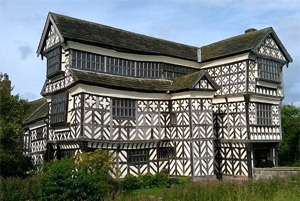 Facilities include guided tours of the Tudor Old Hall (the original manor house), a working 1930s farm and a children's adventure playground. Special events run throughout the year, including the RHS flower show. Palladian mansion with an important collection of early English artwork. The house was designed by John Carr and completed in 1769; based on the Venetian architecture of Andrea Palladio, with a portico of four impressive doric sandstone columns. The house was the home of the Leicester family, and the 5th Baronet, Sir John Fleming Leicester, became the first real collector of British paintings. His collection, which includes works by Turner, Lawrence, Fuseli and Reynolds was so impressive, it was offered to the British Government for the basis of a national gallery. The house also contains a fine collection of period furniture by Chippendale, Gillow and Bullock.